In stock - low quantity. Order in the next 3 hours, 28 minutes and it will go out today! 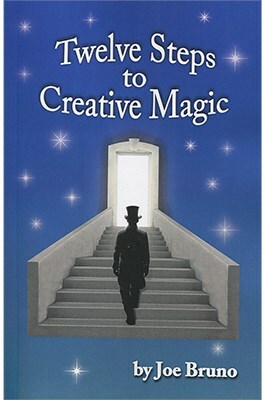 The book presents a twelve-step program for developing your own original magical effects. First, the traits and characteristics needed to open your mind to the creative thinking process are discussed. Then, twelve techniques for creating new ideas and finding solutions to problems are introduced. These techniques are general in nature and can be applied to any field of endeavor. Twelve Magical Idea Generators are developed from these general techniques which apply specifically to magic. Included with each idea generator is an original trick created by using that particular generator. Lastly, the quality of your magic is discussed and guidelines are provided for evaluating and improving your ideas.